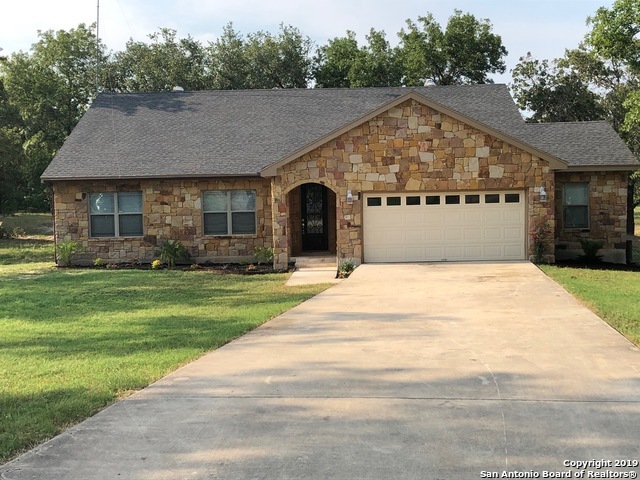 All Natalia homes currently listed for sale in Natalia as of 04/22/2019 are shown below. You can change the search criteria at any time by pressing the 'Change Search' button below. If you have any questions or you would like more information about any Natalia homes for sale or other Natalia real estate, please contact us and one of our knowledgeable Natalia REALTORS® would be pleased to assist you. 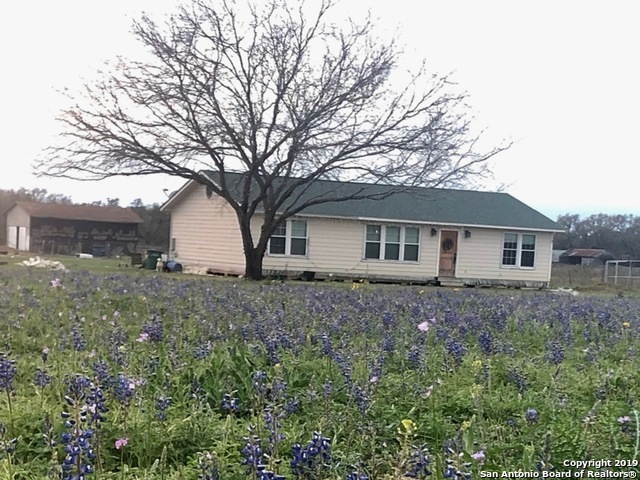 "Country living, 2005 built home on 50.45 clear acres presents the opportunity for you to live within 30 minutes from San Antonio but far enough away for the country solitude. 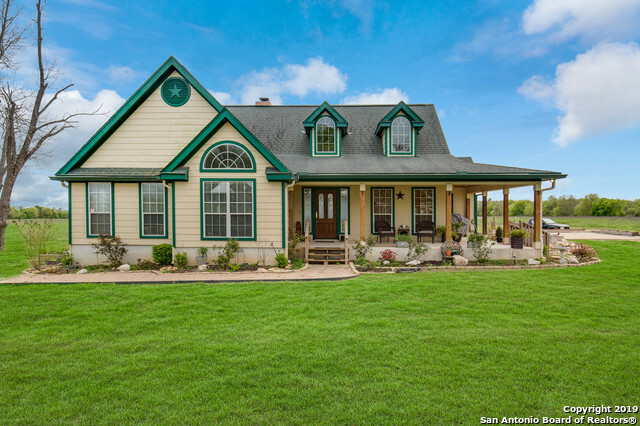 This property includes a barn, Irrigation system ( BMA ), outbuilding & the 1940's cir. homestead (great potential..rental, guest house or studio), awaiting your imagination. Main home has high ceilings, open floor plan, fire place, oak floors & custom cabinetry, granite counters, SS appliances, French doors overlooking co"
"TWO gorgeous country homes located on income producing acreage! One home is 2,200+/- SF and is a 3/2 and the other home is a 1,288 Sf 2/1. The 3/2 was build in 2002 and the 2/1 was built in 2008. Both homes have been very well taken care of and are nestled in the heart of the 12.78 acre property for maximum privacy! Property is ag exempt and the owners produce approximately $14,000 on hay annually(based on a 4 cutting year). Schedule an appointment to view this property today, you will not be d"
"Luxurious Custom built home 4/2 1.3 acres with an office! Granite counter tops kitchen/bathrooms. Stunning Crown Molding/Chair Rail throughout whole house. Custom barrel travertine tile ceiling and custom tile cut out's in the hallway/Entry. New Travertine tile with a Versailles custom pattern/ Carpet .New wrap around deck approx. 12 by 80 linear ft. New Samsung appliances. Also features a second floor (31 by 15) with attic walk in access and storage! Jacuzzi tub/split shower.Dream pantry!Measur"
"OPEN HOUSE SATURDAY April 20th from 12-2 pm!! Beautiful 1 story home on 2 acres of land in Forest Woods. Open living area with spacious kitchen, granite countertops, stainless steel appliances and high ceilings. Separate dining room offers a second eating area when entertaining. Master suite is large with walk-in closet, double vanity and separate shower/tub. Property is fenced and driveway is large and allows for ease of turn around for your vehicles. Mature trees and covered patio fenced." "Beautiful custom built home sits on 1.4 acres in a very desirable neighborhood. From the moment you enter the property, this home screams quality and great taste. Study/Office behind French doors at left of foyer, formal dining room to the right. Master suite at opposite side of house for privacy. Florida room to relax and enjoy the peaceful country living. All appliances currently in home will stay." 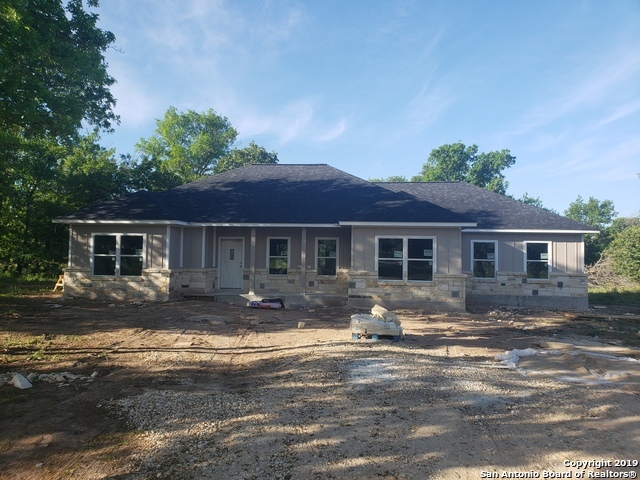 "New construction home in 2 acre oak filled lot. Huge walk in shower and master closet. Granite counters in kitchen and bathrooms. All tile no carpet. Stainless steel appliances. Custom tile work in bathrooms and kitchen." "Country living at its best! Recently updated! New Cabinets, New roof, New Laminate flooring and Granite counter tops. This spacious home could be used as a 3/2 and a Mother in Law Suite that has 2 bedrooms and a kitchenette. Home has a Complete Solar System! Property is ready for farm animals and has plenty of mature trees for shade...Too much to list come visit soon! Seller will consider all Offers and will assist in closing cost up tp $3,000.!! Thanks for viewing." "Enjoy the tranquility of country living on this beautiful property. 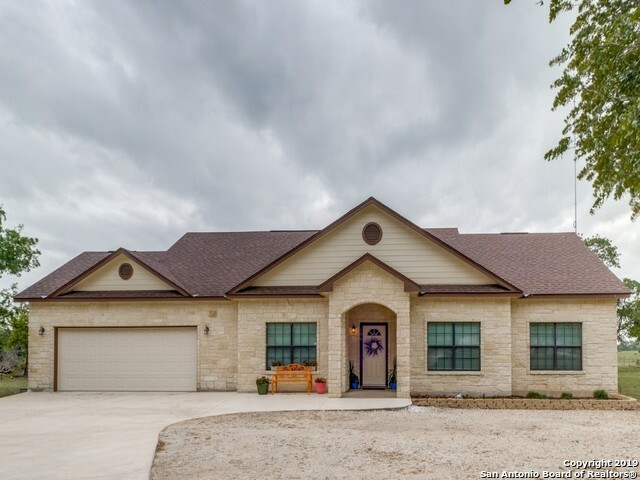 Home was built in late 2016, has 3 bedrooms, 2.5 baths sits on 5 acres WITHOUT restrictions. Has a spacious kitchen with granite countertops and beautiful hardwood cabinets, ceramic tile throughout. Master bath is ready for your finished taste, it has plumbing and has electricity with an optional outlet for a jacuzzi if desired. Has a barn in the back of the house that is approximately 30x15 Mature trees with lots of shade !" "Owner financing available at $144,000 w/ $15k down @ 8% interest rate for 30 years. Wonderful custom built home with beautiful details. Has central heat and air, inside utilities, and wood laminate floors throughout the house. Microwave oven and stove convey." "Secluded in tons of oak trees is a great 3 bedroom, 2 bath home on 6.1 acres. Ease access to San Antonio. Farm animals welcomed. Natalia ISD, Medina County, No City Taxes." 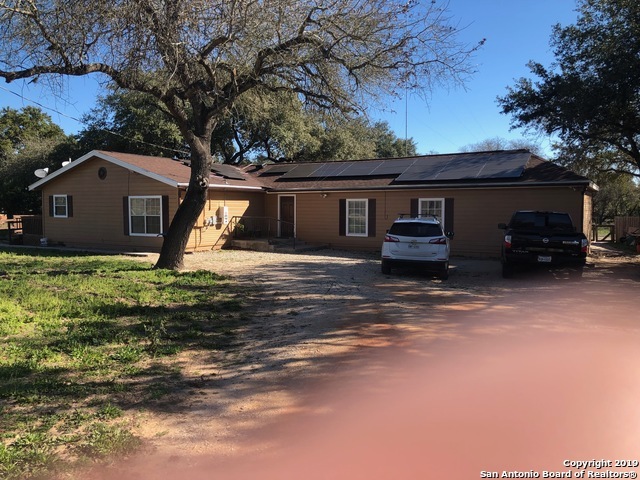 "COME AND TAKE A LOOK OF THIS BEAUTIFUL LAND WITH A WELL SIZED TWO BEDROOMS HOUSE, THIS IS A STARTED PROJECT READY TO CONTINUE WORKING ON IT, USE YOUR IMAGINATION AND OWN THIS PROPERTY LOCATED IN FOREST WOODS SUBDIVISION, PEACEFUL NEIGHBORHOOD CLOSE TO IH 35 30 MIN FROM DOWNTOWN."